So, it’s official. 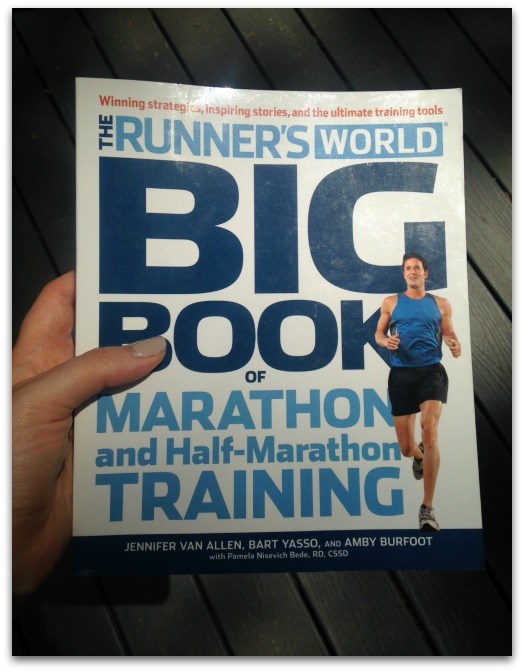 I am in the second week of training for Bay State Marathon, using an intermediate race plan from The Runner’s World Big Book of Marathon and Half-Marathon Training. But despite my not so speedy time of 4:59 for that marathon, I know I did focus on the right things. I was determined to finish, but I also wanted to enjoy the race. So when I’m running this October, I want to remember – again – to enjoy the day and to be grateful that I am able to run, and to remember that I don’t need to finish the race crying and crawling to my car to have had a “good” race. But really, I do know what she is saying: Get comfortable with being uncomfortable and you can go faster! But I have to admit that since I’ve moved up a bit in the standings at the Good Times Series, I am beginning to wonder if maybe I can push that line out a bit. And I find I’m excited about the new training plan with hill repeats, speed work, and time trials – all sorts of things I have never done before. (I even had to look up what they meant.) I know it’s going to be interesting and challenging and I guess that somewhere along the way, I will discover where that new line is between, “I’m uncomfortable but it’s all good” and “This is stupid, I’m too old for this…” And then I’ll work from there. And I figure that by the time I run my marathon in Lowell on October 18, though I may still slow down before I cry or crawl, I will definitely let myself get uncomfortable. 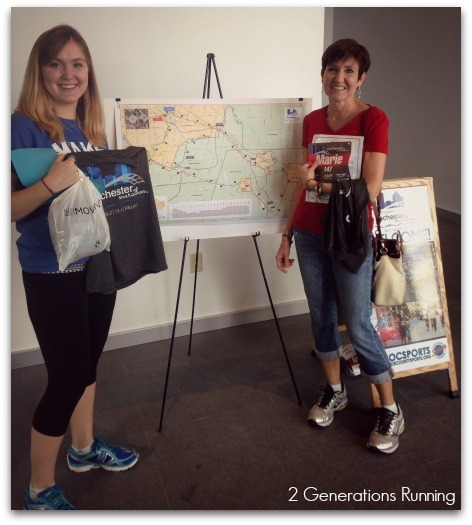 Nora and I at the expo before our first marathon! Are you training for a fall marathon? 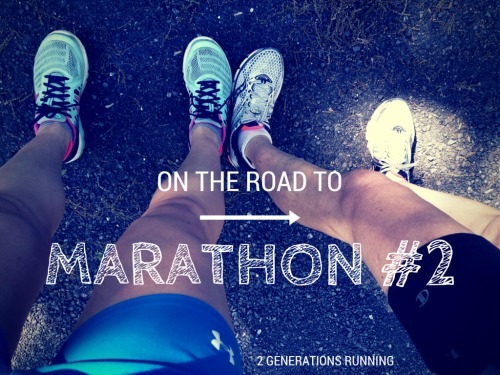 This entry was posted in Uncategorized and tagged 2 Generations Running, Bay State Marathon, Marathon Training, Massachusetts, Thoughts of a Runner. Bookmark the permalink. Running injury free sounds like an excellent plan to me.